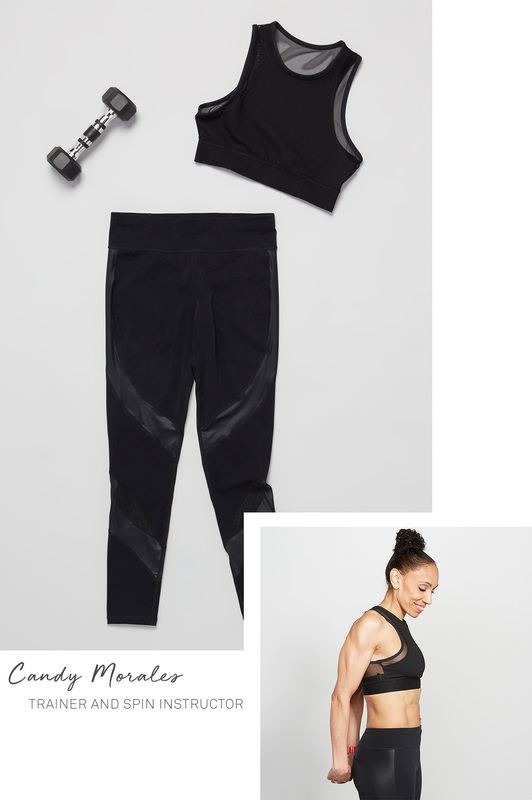 When it comes to working out, finding an outfit that fits the vibe of your routine is key. The right gear not only ensures you’re comfortable during your workout, but it can also make a difference in how you’re training, too. 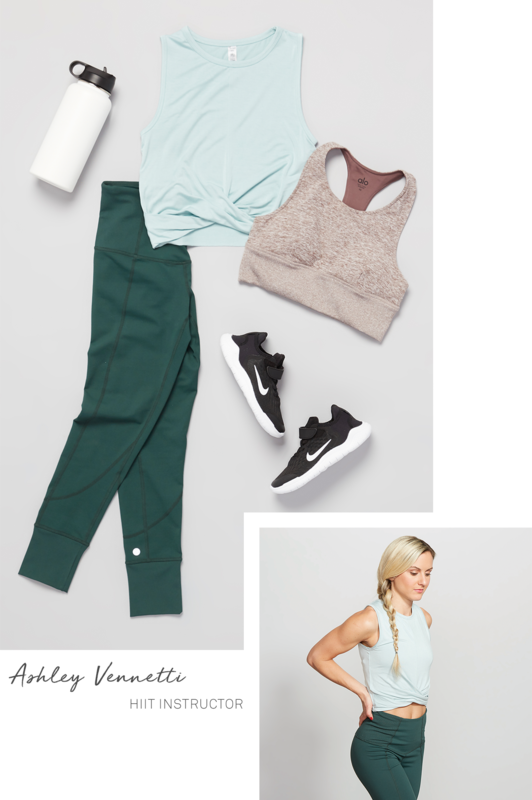 From shoes that provide appropriate support to tops that’ll stay put, we turned to three expert trainers and asked them to share outfit details that’ll help us make the most of our workouts. With a heavy focus on endurance and strength, high-intensity interval training (or HIIT) is a full-body workout that keeps your heart rate up with vigorous bursts of exercise. These workouts feature a lot of varied movement—usually a combination of running, rowing, and bodyweight exercises—so you’ll want to be sure that your outfit moves with you. “For the most support and comfort during my classes, I recommend Nike sports bras,” says Ashley Vennetti, an instructor at the popular HIIT studio Orangetheory Fitness. She specifically likes moisture-wicking sports bras that keep your core cool. Arguably one of the most well-known forms of exercise, spinning is a lot more than just cycling on a stationary bike. This high-intensity, low-impact resistance workout gets your heart pumping as it works your back, glutes, hamstrings, quads, and calves. Though spin classes are usually set in a fun and fast-paced atmosphere complete with upbeat music and dim lights, don’t let that fool you—this workout is actually very intense. Candy Morales, a spinning instructor and personal trainer to celebrities such as Sophia Bush and Troy Aikman, has an ideal spin outfit. “There are a lot of movements that are done out of the saddle, so tight long pants and a tight-fitting sleeveless top are essential,” she says. She prefers high-waisted pants to catch sweat and to avoid exposing your undergarments as you move on and off the bike seat. Spin classes can really heat up, so tight crop tops or sports bras made from breathable, antimicrobial materials that stay cool and fresh are the best option. “I wouldn’t recommend wearing free-flowing materials because they can get in the way and potentially cause distractions, making the experience not as enjoyable,” says Candy, who is particularly fond of Nike, Adidas, and Puma activewear. When it comes to getting fit, some may feel motivated by a serious trainer who yells like a drill sergeant. Others, however, may find themselves drawn to a more upbeat atmosphere. If the latter is more your speed, you might want to think about enrolling in a barre class. This low-impact, high-intensity workout combines elements of dance, pilates, and yoga, and works to sculpt, tone, and stretch your entire body. Because the repetitive movements are choreographed to music, classes are generally fun and full of energy.